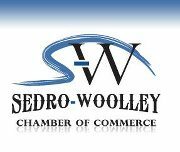 From batteries to hoses, Sedro-Woolley Auto Parts is the best place to go for automotive parts in Anacortes. We have the training and knowledge to help you do the job right. Our team is ready to help you at any time, and our prices are still "on the chart"! Sedro-Woolley Auto Parts knows that you have a choice when it comes to auto parts, and we go out of our way to let you know that every time you come in. So, call us at 360-855-0341 now, you'll be glad you did!